All of the information they collect while they are on the phone with you goes into a database that contains information about you and other potential customers. In the database, the information contains “subscriptions [magazines, newspapers, Netflix, etc. ], added ticket purchases for friends, donations, and sometimes even notes on who their [the potential customer] assistants or friends are.” Anything you mention on phone can be added to their database. Most telemarketers work on a “3 No’s” system. The caller will not let the person go until they have said no three times. A customer is more likely to give in after saying no twice since they have started to run out of excuses. Ericka warns that one thing you do not want to be labeled is a “call back”; these are “tiny gold nuggets for telemarketers”. Normally it is easier to make a sale to a “call back”. Therefore, do not say anything that could be added to their database. Am I doing anything to make it worse? Don’t immediately hang up the phone. The telemarketer will mark you as a “no answer”. They will call you back until they have a conversation with you. Don’t engage with the telemarketer in any way. This tells the caller that you may need a little more convincing because are interested in their product. Do not ask questions. Do not explain why you are not interested in the product. Telemarketers literally have a script that tells them how to respond to every objection, so the less you engage with them, the better. 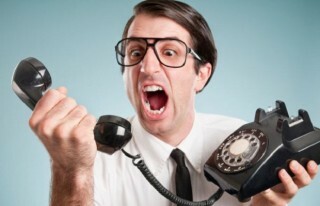 Don’t get irrationally angry at the telemarketer. Remember, the computer chose your lead, not the caller. If you scream at them because you’ve gotten called before, this will not make them sympathetic to your case. It’s likely they’ll just put you back into the lead pool to torture you. If the telemarketer is being rude, you can ask to speak to a manager. Despite what they might say, every campaign and business has a supervisor in the call room. Don’t give up mid-conversation and hang up without an explanation. 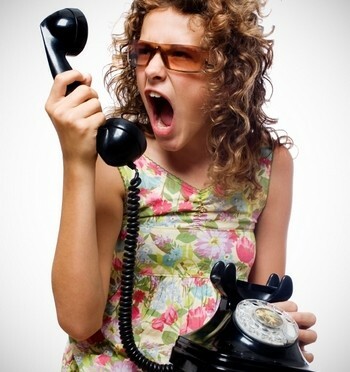 This will most likely result in the telemarketer calling back, claiming you got “disconnected.” If you don’t answer then, they will keep calling. How do I make the telemarketer calls stop?!? While taking the following steps, keep in mind the list of DON’Ts listed above. Register on the national do not call list if you haven’t already. It’s illegal for a company to keep calling you if you’re on this list and you have verbally asked them not to call you at least once. Unfortunately, it is not illegal for non-profits. What can I do about Non-profits calling me? If you get a call from a non-profit, ask for a manager and tell them that you have repeatedly requested to be placed on the do not call list. Also, keep in mind that a prior caller may not have done their job and removed you, and this new, innocent caller is getting all the blame. One good thing about non-profits is that most run seasonal campaigns; so at least your lead will be put to rest for three to 11 months. Getting rid of telemarketers is mainly about your approach. You do not want to give the telemarketer anything to work with. Be careful to not commit one of the DON’Ts while being careful to successfully execute the DOs. Be careful how you phrase what you say; it will make a difference in the way your intention is interpreter. If you make the right choices, then this should stop the calls or at least decrease the number of calls that you receive. Next Next post: Polar Plunge 2014 – Matthew Smith Accepts the Challenge!